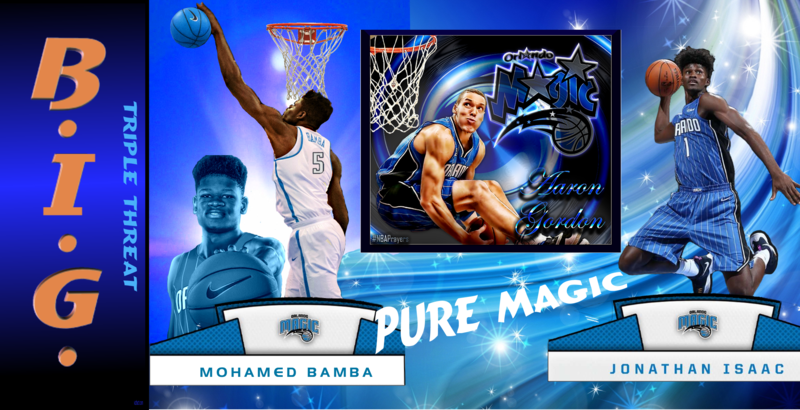 2018-2019 Beginning A New Era In Magic Basketball - Orlando Magic Forum - TrueBlueNation.com - The Official Orlando Magic Fan Community! Mo BaMBA "The M.B.A." * Aaron Gordon "Sky14" * Jonathan Isaac "The Dispatcher"
lol the MBA. Bamba taking us to school. Can he pick me up at 3:30 too? I hope so! I'm feeling kinda optimistic! Not necessarily about playoffs this year, but about finally building in a positive direction. I'm feeling hopeful about Bamba. Here's hoping we re-up on Gordon. Isaac develops. And that at some point we can get rid of Fournier, Biyombo, Ross, and Augstin's contracts and start spending wisely and productively!